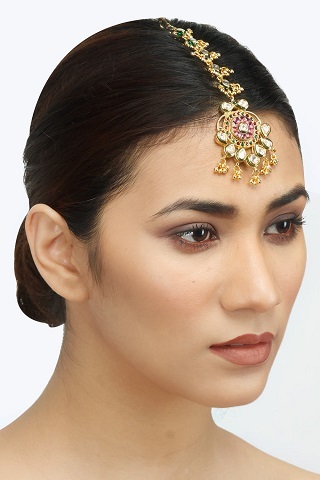 15 FAB Gold-Plated Maang Tikkas For The Bride - Under Rs 5500! A fair share of your wedding budget goes into the bridal jewellery. It’s that one time in your life that you don’t want to wear fake accessories, and ladies, gold or polki doesn’t come cheap. But if you don’t want to go overboard, you can totally opt for gold-plated ornaments that look just like the real deal! They won’t be too hard on your pocket as well. Plus, it’s the practical thing to do if you know that you won’t be wearing these heavy pieces again. Here are 15 gold plated maang tikkas that you absolutely must check out. 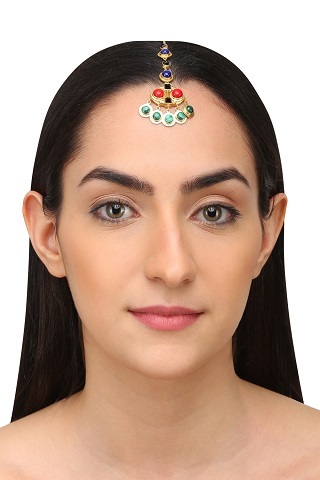 If the rest of your jewellery is plain gold, then this gorgeous maang tikka with green and red beads is perfect to add some colour and style to your look. We love the tiny gold drop detailing that makes this piece look every bit bridal. Price: Rs 4,800. Buy it here. A 22k gold-plated maang tikka, this one is every bit of fab thanks to the filigree pattern, the striking black onyx stone and the little pearl beads. 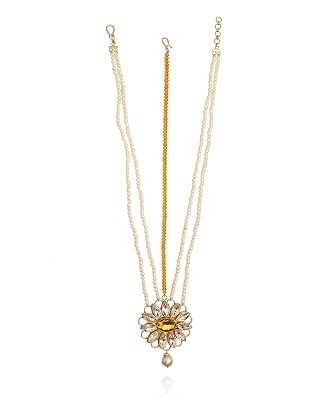 For the bride who is high on style and wants to go offbeat with her jewellery, this piece is just perfect. Price: Rs 4,410. Buy it here. A maang tikka in a flower design is just the prettiest thing we’ve spotted in a while. The piece also features an emerald Swarovski crystal that is just so gorgeous. It’s chic, it’s fun and it’s the only statement accessory that a bride needs. Price: Rs 3,760. Buy it here. 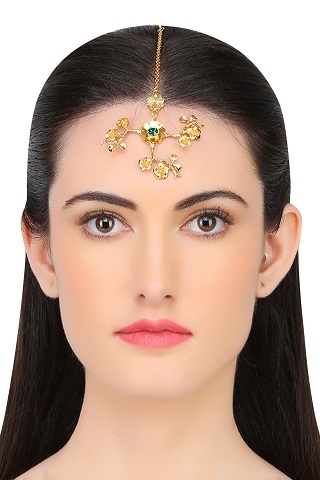 This stunning gold-plated accessory is adorned with kundan stones and gorgeous pearl drops. The leaf shape is totally unique and the piece itself looks extremely opulent and royal. Price: Rs 5,400. Buy it here. Don’t want to go overboard with the hair accessories? Wear a delicate kundan piece with a striking green stone and gold plating on your wedding day. It’s elegant and understated and will definitely make you look like a million bucks on your special day. Price: Rs 1,800. Buy it here. Doesn’t this triangular filigree maang tikka look absolutely spectacular?! If the typical traditional styles do not catch your fancy, then this sure will. We love the shape and the little pearl beads that make up this beautiful piece. Price: Rs 3,675. Buy it here. Wearing a pink lehenga? 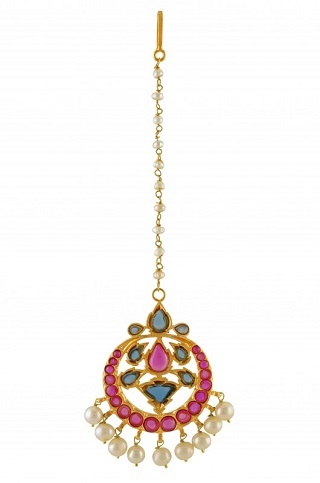 Match your outfit to your jewellery with this stunning maang tikka with pink and blue coloured glass. Adding all the extra charm to the piece are those pretty pearl drops. 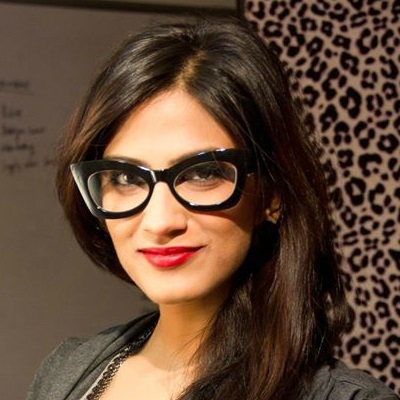 Price: Rs 4,950. Buy it here. A traditional piece, this is just what a girl needs for her wedding day. Little gold drops make this piece stand out and it’s sure to pair well with your gold wedding jewellery. Plus, you can totally wear it as a single statement accessory after the wedding too! Price: Rs 4,500. Buy it here. Love ethnic jewellery? Well, why not sport an ethnic and elegant piece on this special day of your life. This is one piece that will pair extremely well with a traditional gold set. And if you’re wearing red on the D-day, well, then there is no reason that this wouldn’t match. Price: Rs 549. Buy it here. Such a pretty pretty piece. We absolutely love the turquoise stone and the pearls! Add a pop of colour to your traditional bridal look with this trendy maang tikka. And if yours is a day wedding where you plan to wear a pastel coloured lehenga, well then nothing will look prettier than this. Price: Rs 3,360. Buy it here. 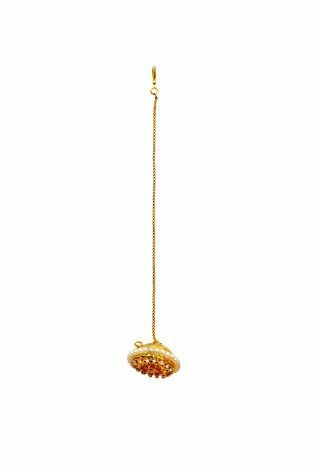 A crystal and gold plated maang tikka that looks like a sunflower... How adorable! For a day wedding or for a fun and relaxed vibe, go in for something like this. The big bright crystals add all the extra glam to this one. Price: Rs 3,350. Buy it here. Show them what a super cool bride you are with this funky maang tikka. Lots of vibrant colours, semi-precious stones and a unique design puts this piece right on the top of our lust list. 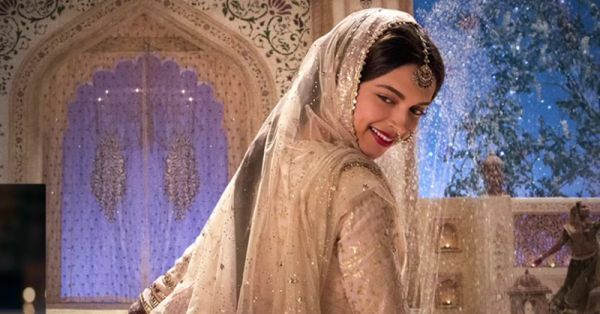 Brides-to-be, you totally should rock this maang tikka on your D-day. Price: Rs 3,360. Buy it here. 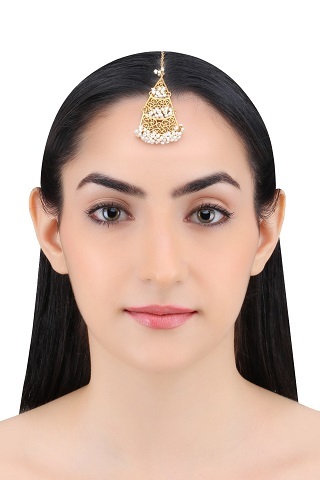 A borla is a traditional Rajasthani bridal hair accessory and off late it’s become quite a major trend all over India. For a traditional and vintage bridal look, opt for a gold plated borla. This one comes with pink semi-precious stones and it’s absolutely stunning. Price: Rs 1,500. Buy it here. 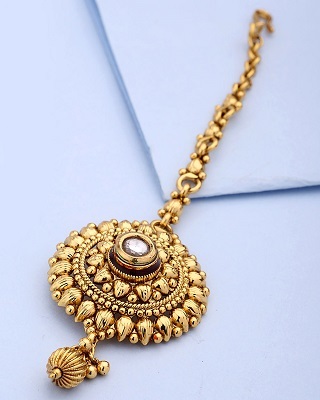 A gold-plated maang tikka with floral motifs, dazzling crystals and pretty drop shaped pearls. Now this is just what every bride needs. It looks absolutely spectacular and will sure make you look like a princess on your big day. Price: Rs 3,500. Buy it here. Chandbaalis are quite a rage with brides. And to have a maang tikka shaped like a chandbaali is absolute beauty. 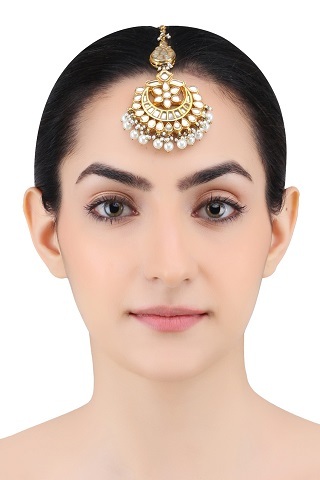 Little kundan stones and pearl drops complete this show stopper piece! Price: Rs 4,000. Buy it here. So ladies, which one of these are you going to buy for your big day? !